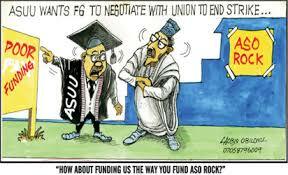 ASUU threatens to continue strike until government accedes to its demands – Royal Times of Nigeria. The Chairman of the Academic Staff Union of Universities, ASUU, University of Ibadan, UI, Chapter, Dr Deji Omole has said that the ongoing strike embarked upon by the union will not be called off unless the Federal Government do the needful by resolving all the contending issues. Omole stated this on Thursday, stressing that the union will not allow the ruling elite to destroy the heritage of the poor, which is qualitative public education. He said the position of ASUU was a fall out of the first meeting held with the Minister of Labour and Productivity, Dr Chris Ngige which did not go into substantive issues that led to the strike. Omole pointed out that Wale Babalakin, who is the leader of Federal Government team is being rejected by the Union because he is an interested party pursuing a private university license and will do everything to jeopardize public education funding. He stated that a situation whereby two members in the federal government team are pursuing their private university licenses indicate they would not favour funding of public education. 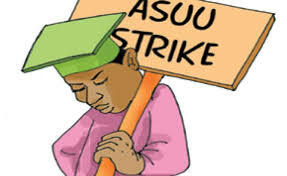 The ASUU scribe maintained that the three-week old ASUU strike is borne out of genuine and patriotic commitment to ensure a better future for children of the masses and that of Nigeria. He dismissed the allegations that the strike is political.